HOLIDAYS are doubly fun at Seattle’s Best, when the coffee brand that promises to serve the best coffee to its customers creates special holiday blends to usher in the season of joy. Seattle’s Best’s holiday coffee treats are rich, lavish and delicious, the perfect accompaniment to days of feasting and celebrations. They are created by Seattle’s Best’s master brewers who have taken special care to harmonize flavors and textures, choosing exciting ingredients to tickle the palate as well as please the eye with visually appetizing concoctions. 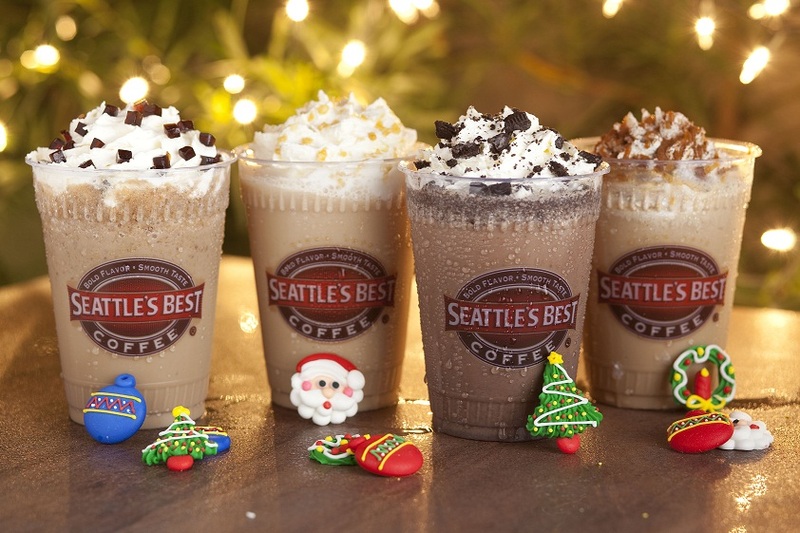 This coming 2012 season, Seattle’s Best brings back two popular holiday coffee concoctions and introduces two, new exciting ones. The hands-down comfort drink of the season, Cookies and Mint, returns to delight holiday revelers once more. A minty, sweet and refreshing treat for this season of glad tidings, Cookies and Mint is a deeply satisfying mix of dark chocolate, mint, and espresso. Topped with Oreo cookies, this smooth espresso is the best conclusion to one’s day at work or at play. Another favorite from last year, Coffee Hazelnut is a special coffee blend with a kick, bringing a symphony of flavors in a cup of java. The woodsy flavor of hazelnut, laced with white chocolate sauce and coconut, gives espresso a richer, nutty taste, perfect for stimulating the senses. Caramel Apple is Seattle’s Best’s new, fruity offering for the season, the caffeine equivalent of one of the season’s traditional delights. Espresso is combined with apple syrup and white chocolate sauce, then garnished with caramel sauce, cinnamon powder and whipped cream. It’s a seasonal indulgence worth savoring repeatedly throughout the holidays. Seattle’s Best also has created a special blend this season for adventurous types. Espresso Jelly is the bold and strong coffee concoction to liven the holidays. A perky combination of coffee jelly and espresso, topped with whipped cream and coffee jelly. A must-try for a season of heightened expectations and promises!